The Battleship Texas State Historic Site is a historical memorial and monument located in Houston. A decommissioned battleship, Battleship Texas, is docked along the Houston Ship Channel. The ship is open to the public from 10:00 a.m. to 5:00 p.m. daily, except for Thanksgiving, Christmas Eve, and Christmas Day. The Battleship Texas is the last remaining ship that was active in both World War One and World War Two. The ship was commissioned 0n March 12, 1914. In the ship’s service life, it was regularly outfitted with the most advanced weaponry available to the military, which helped to keep it in fighting condition rather than being decommissioned and scrapped. The USS Texas was an active vessel until 1948, and over 100 years after its creation, the USS Texas stands as the last battleship ship of its kind. Due to the efforts by the Battleship Texas Foundation (then called the Battleship Texas Commission), the state of Texas acquired the ship on April 21st of 1948, and it became a memorial ship. 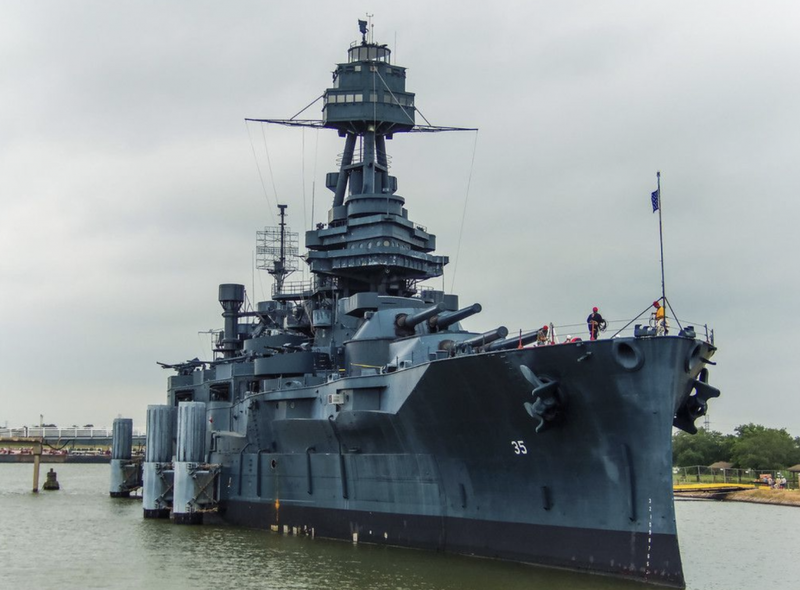 The Battleship Texas Foundation is a non-profit organization, and they still maintain the USS Texas and manage the site in cooperation with the Texas Parks and Wildlife Department. Under their management, the Battleship Texas now stands as a museum and monument. Visitors to the Battleship Texas State Historic Site can engage in different forms of tours through the vessel. Parts of the ship are open to the public for self-guided tours, allowing guest to explore the bowels of the ship. The Battleship Texas also offers guided tours. Along with the guided tours, five times a year there will be ‘hard hat’ guided tours which explore sections of the ship that are typically not open to the public, along with hosting field trips and summer camps for students to learn more about history.